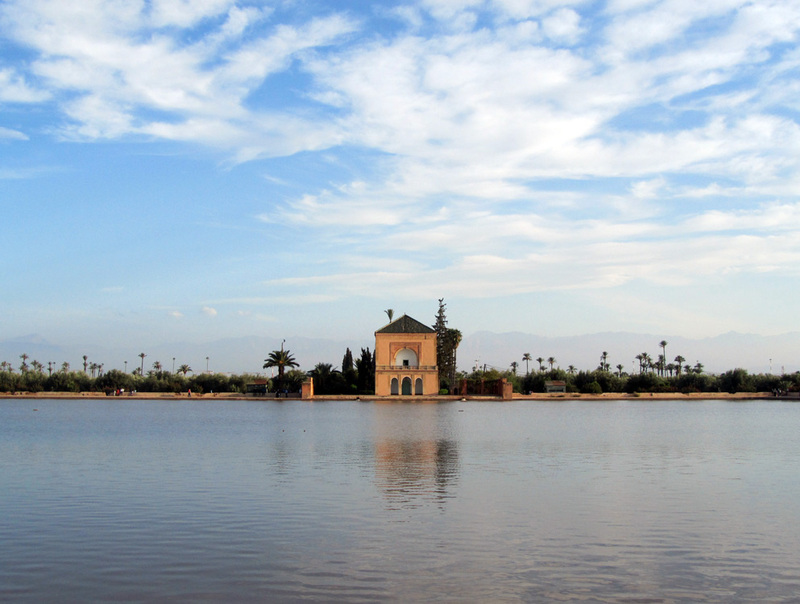 The ochre pavilion in front of the Grand Atlas Mountains – this panorama of the Menara Gardens is one of the most popular motifs on post cards from Marrakech. A favorite spot of the local population, the public park is just the right place to take a time-out close to the center of the city. The Jardin de la Ménara was created in the middle of the 12th century during the rule of the Almohad dynasty. 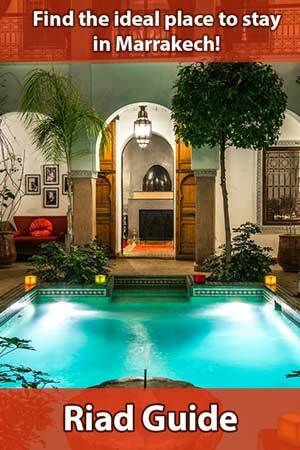 The Agdal Gardens in Rabat, Ceuta, or Sevilla have been modeled after it. Agdal Gardens are laid out around a central water basin that is fed by aqueducts, rain water or ground water and irrigates the surrounding vegetation. With a surface of more than 100 hectares, the Menara Gardens are a generously laid-out park with many lanes meandering between countless olive trees where the visitors can recline for a moment in the shade. Looking back, you will recognize the imposing line of sight with a direct view on Koutoubia Mosque in the distance. A wide promenade lined with venders of souvenirs, sweets and beverages leads from the entrance area directly to the central basin and the photogenic pavilion – a palace from the Saadian era. The basin is 150 meters wide and about 200 meters long. Dozens of carps inhabit the muddy water – and many visitors just love to feed them freshly baked bread. Vis-à-vis the palace, you can sit down on a tribune and indulge in the unique panorama of the pavilion in front of the Grand Atlas Mountains. In the Menara Gardens, you won’t meet as many European tourists as in the Jardin Majorelle or in the palaces of the southern Medina. Instead, the park is a favorite destination for Moroccan families, especially on weekends. Also, many young people sit under the olive trees because they prefer the fresh air outside to their cramped dwellings for studying for their classes. 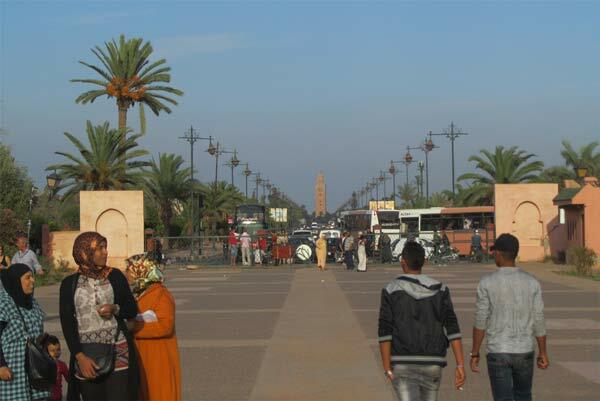 Like Jamaa el-Fna and the Agdal Gardens, the Menara Gardens are listed as a “World Cultural Heritage Site” by the UNESCO. 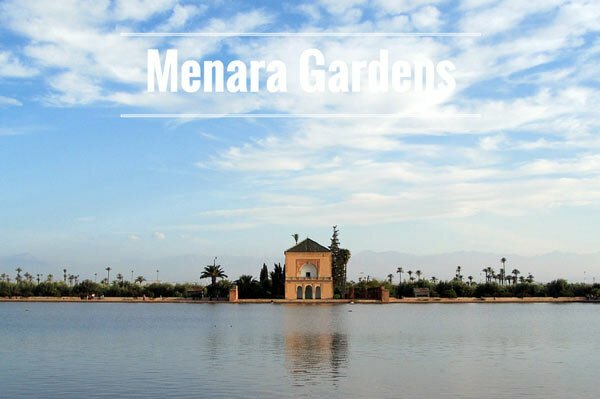 Although not as spectacular as the Jardin Majorelle, the Menara Gardens are more generously laid-out and therefore more suitable for an afternoon stroll. Also, with far fewer European tourists than the other sights, the garden provides an authentic experience. 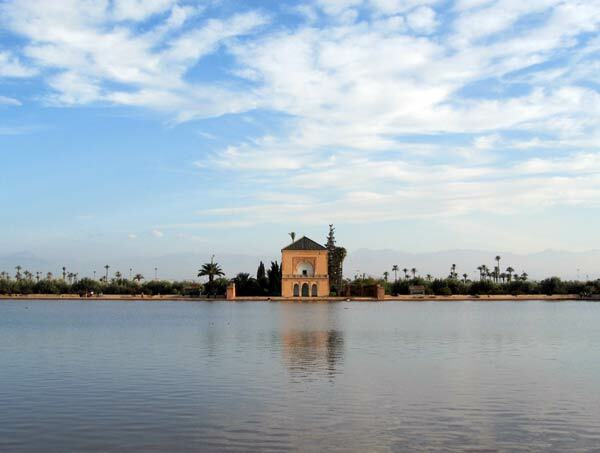 The famous panorama of the Grand Atlas Mountains alone is worth a visit to the Menara Gardens. However, if you are set on photographing this brilliant panorama, you should take care to come there on a clear day! The Menara Gardens are located about three kilometers southwest of the Medina, beyond the city walls. 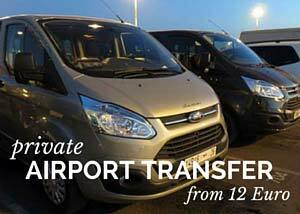 The easiest way to get there is via the Avenue de la Ménara. The entrance is right at the corner of Avenue Bab Jedid. 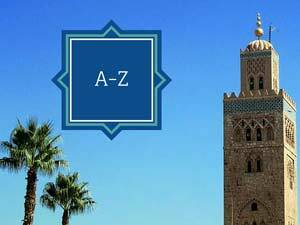 If you don’t want to walk for half an hour from Koutoubia Mosque, you can also take a Petit Taxi (15–20 DH). daily from 08:30 a.m. to 06:00 p.m.